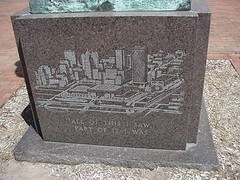 Oklahoma City, Ok: Statue is located in Bicentennial Park in Downtown Oklahoma City at the corner of Walker and Calcord. 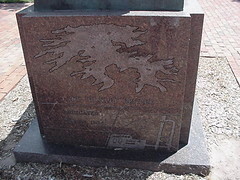 Stanley Draper was one of the greatest "city builders" this country has yet produced, was born in Lasker, North Carolina, and came to Oklahoma City in 1919. He received The Henry G. Bennett Distinguished Service Award in 1973. Lake Stanley Draper in southeast Oklahoma City is close to I-240 between Midwest Boulevard and Post Road. The lake was built in 1963.